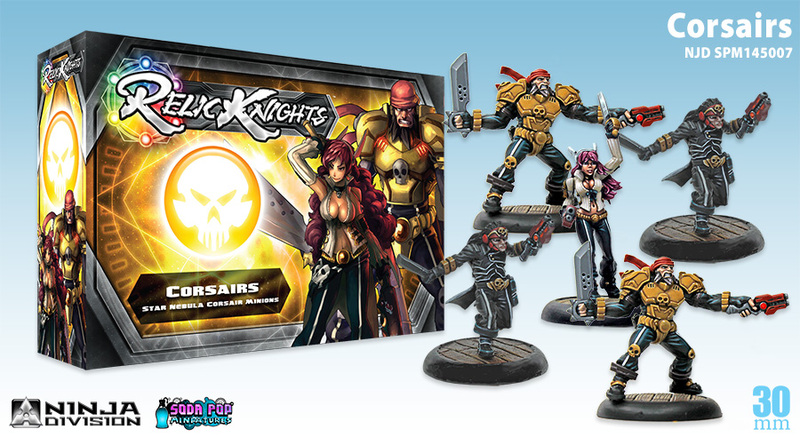 Ninja Division's miniatures game, Relic Knights, had a bit of a bumpy start to its existence. But the company is looking to start anew and they've launched a Kickstarter campaign in order to make it a reality. Well, the kids are back in school. I know because every morning and afternoon there's a constant parade of school buses going through my apartment complex, dropping them off. Seriously, it goes on for several hours. But there's good things to be had as well. 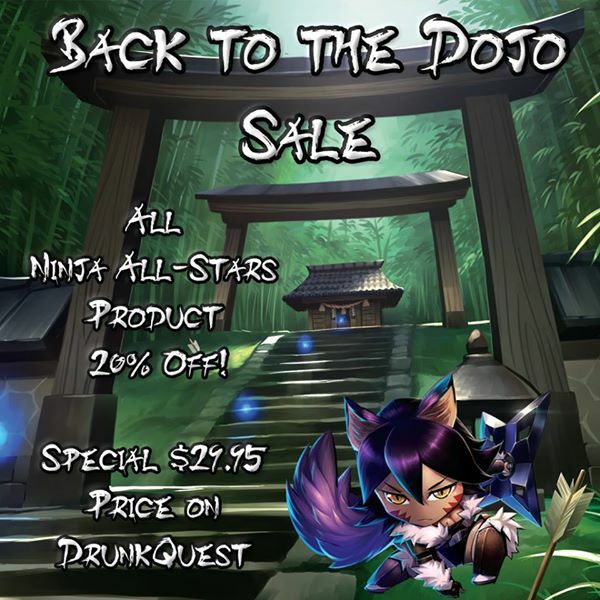 For example, Soda Pop Miniatures is having themselves a sale. Seriously, 2016 is turning into the Year of New Editions. 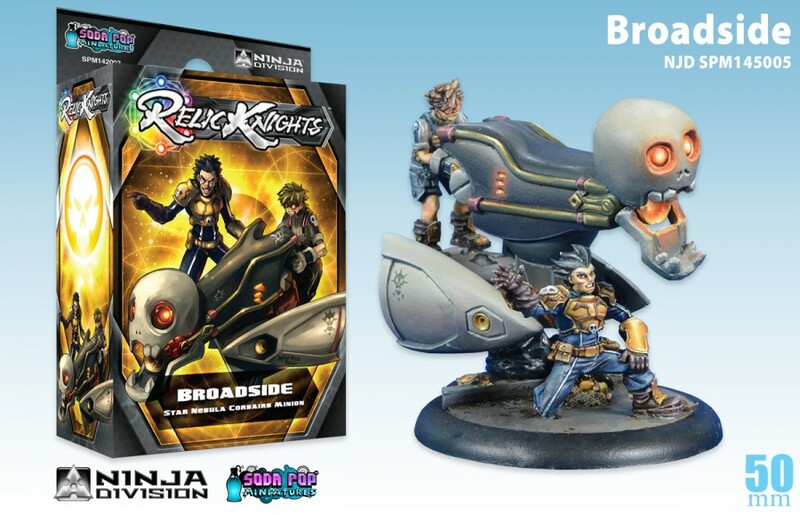 Ninja Division/Soda Pop Miniatures are getting onto the bandwagon with a new version of their Relic Knights rules. Version 1.5 is available now for your downloading and playing pleasure. This is sort of an "open beta" test of the rules. So they're very much looking for your feedback. I've got a story that involves giant robots, so you know I'm excited about that. 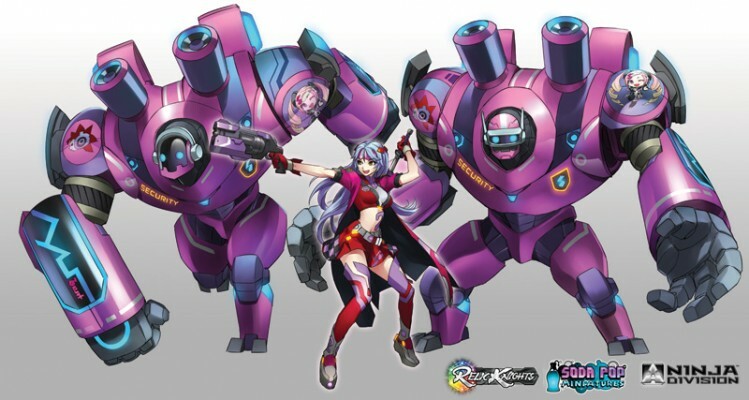 It's been a while since Ninja Division/Soda Pop Miniatures has talked about Relic Knights. The game got off to a... somewhat rocky start. But even though Ninja Division hasn't been posting about the game doesn't mean they haven't been working on it, quietly, stealthily, behind the scenes. 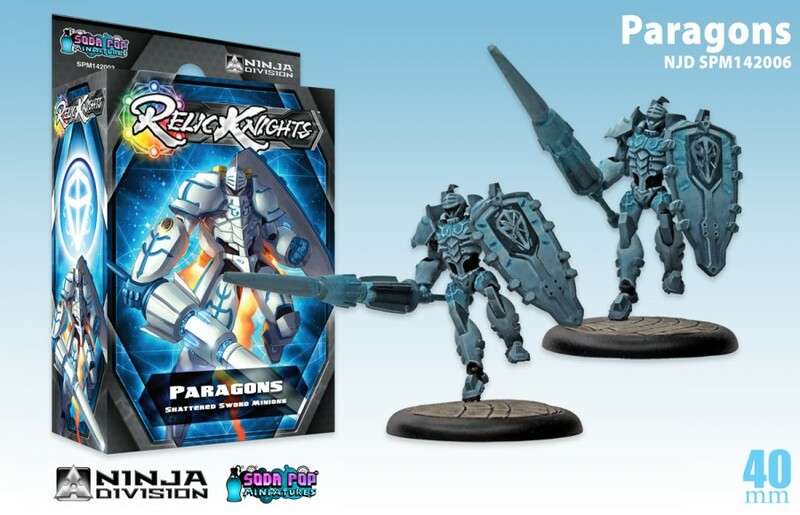 No, they're finally ready to let out some information about what they've been doing, complete with new artwork and model previews (and that's where the giant robots come in... along with some guy in seafoam green pants). Ninja Division has announced their first expansion for Relic Knights, and they're going in with both feet. 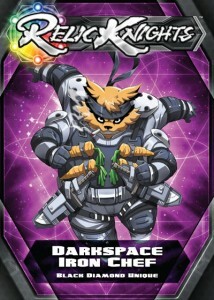 The new expansion, called Relic Knights: Void Break, will have 40 new units spread across all 6 factions for the game. 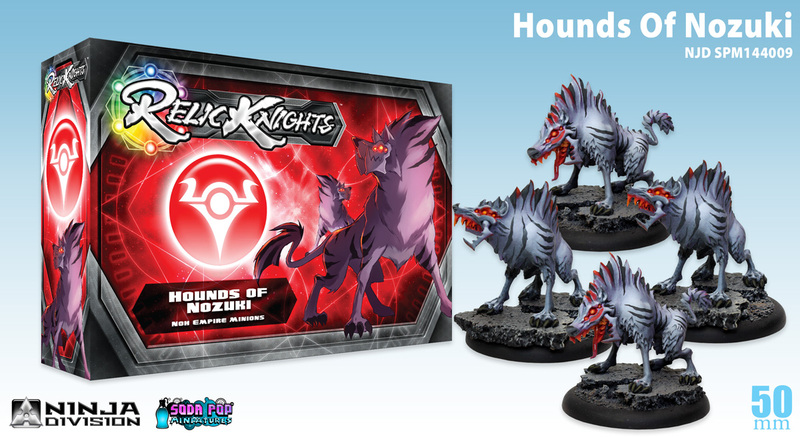 The set is designed to be a new jumping-on point as well, with a new rulebook that's been updated with information from a year of player feedback and various errata and clarifications that've been made. This new expansion is going to be coming out in September. 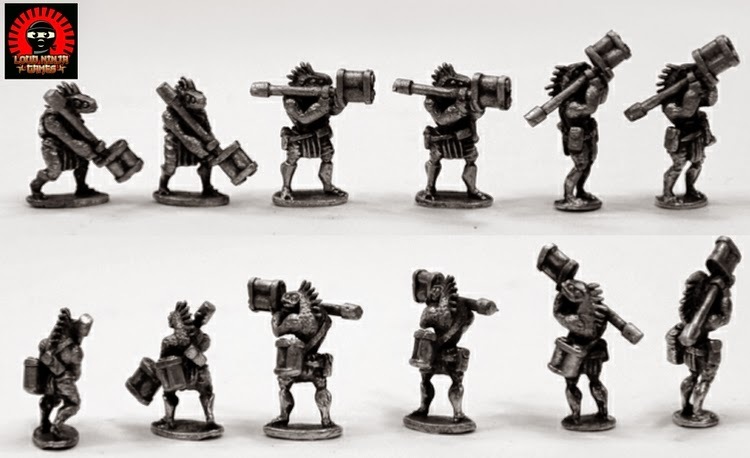 Along with all the new models and rules updates, the figure material is getting an update as well. 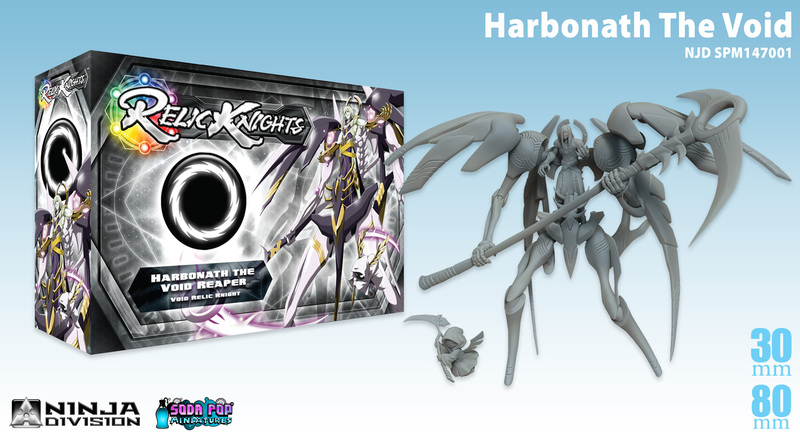 The new figures will be in resin with the large, centerpiece models being in plastic. Welcome to the world of the 1-hour-in-the-future. I hope everyone enjoyed their little time-jaunt this morning (everyone being "everyone who lives with daylight savings time," that is). So, fellow time-travelers, let's see what bite-sized stories we found in the past couple days. 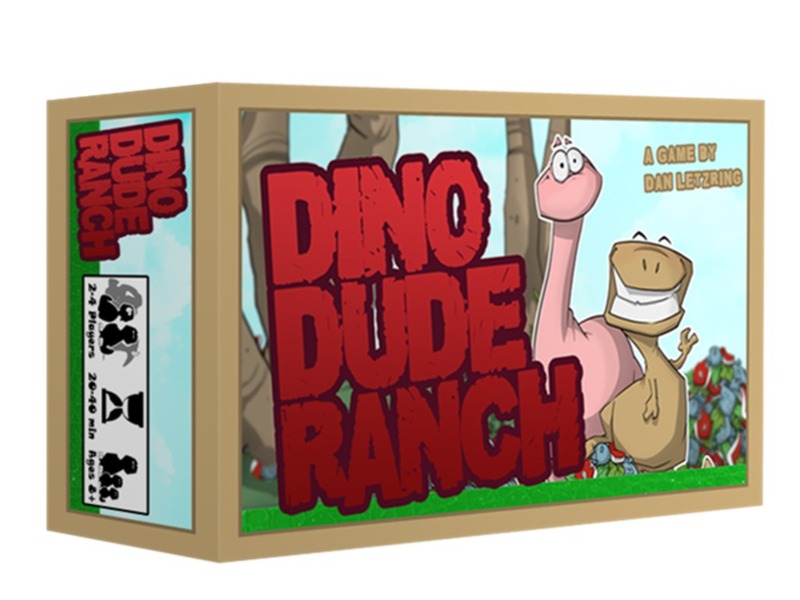 Included are: A bunch of more The Fiver installments from The Meeple Mechanic, New Relic Knights Ultra Pro Card Sleeves and Deck Boxes, Assault Publishing releasing laser-cut modular terrain system, 2 New F.A.T. 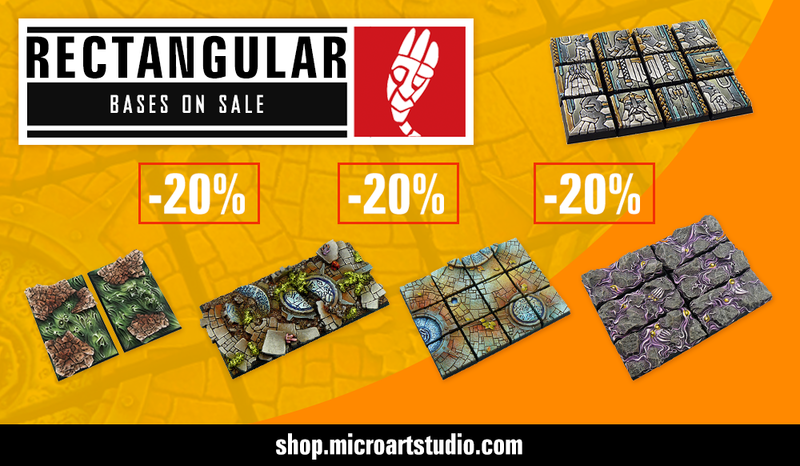 Mats From Frontline Gaming, Ninja All-Stars: Clan Tora Madoushi preview, MidKnight Heroes Kickstarter Release Date And first stretch goal reveal, The Sally 4th Crows Sets Released, Wings of Glory Miniature Game - Giants of the Sky: Kickstarter project to start on March 10th, New old factory bases from Micro Art Studio, New Models in the Crossover Miniatures Store, Mats by Mars Launches Their Terra-Mats line, New items from Thomarillion/Ziterdes, and Dwarf Cavalry codes released for Flintloque. A dense fog falls over Atlanta this Wednesday. Though it's supposed to actually be a nice day later on. A lot of people are headed towards Boston for PAX East this upcoming weekend. If you're traveling, travel safe, and listen to some Dropkick Murpheys along the way. Anyway, we've got another batch of bite-sized stories to share with you. This time there's: Esper Crystals and Resin Bases for Relic Knights, Fabled Environments Launches Wild West Floorplans Kickstarter, Manorhouse Workshop Modular Underground Terrain Update #16, another nstallment of The Fiver from Meeple Mechanic, Ludus Magnus Studio Show the pladge level for Nova Aetas Kickstarter, New releases form O8 arrives at Assault Publishing, Loud Ninja Games to Release 15mm Ikwen Aliens, New 28mm Prehistoric Settlement minis from Steve Barber Models, New 25mm and 60mm Lipped Bases from Warlord Games, THMiniatures running Tabletop Terrain Kickstarter, Final Days for Going Native Kickstarter campaign, New German officer from Vepafigures, New Undead and Shaleground 40mm Bases Coming from Tabletop-Art, New Stretch Goals Announced for Faith RPG, New Egyptian Vampire Girls from Brother Vinni, and Halfsies Dice up on Kickstarter. Ninja Division has announced the release of the Relic Knights digital enhancement app. 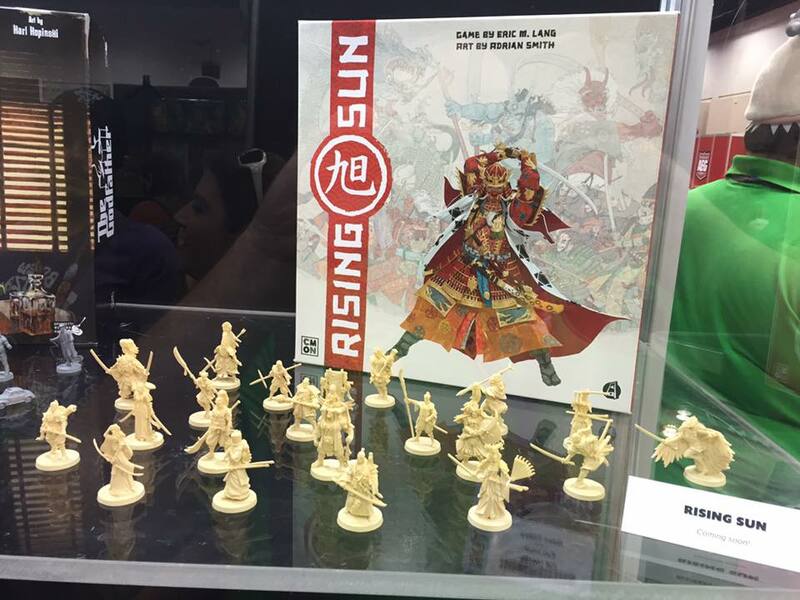 It helps you play the game, with a full rulebook, as well as an army creator and dashboard functions. For outside of the game, the app has bunches of background fluff about the world, as well as a model gallery. 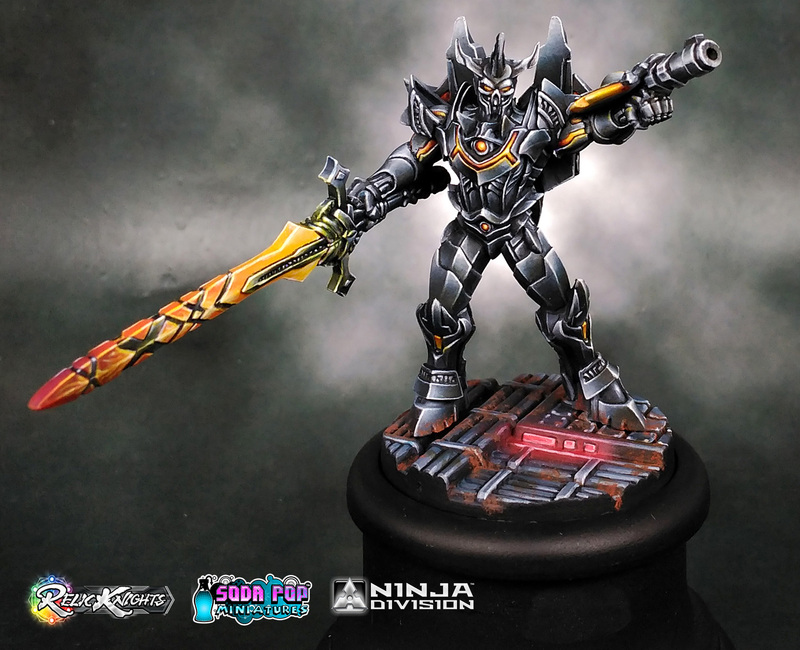 Ninja Division has a new Star Nebula Corsair they're showing off for Relic Knights. Go check out Golden Vance and Minnow. They'll be available in a couple weeks. 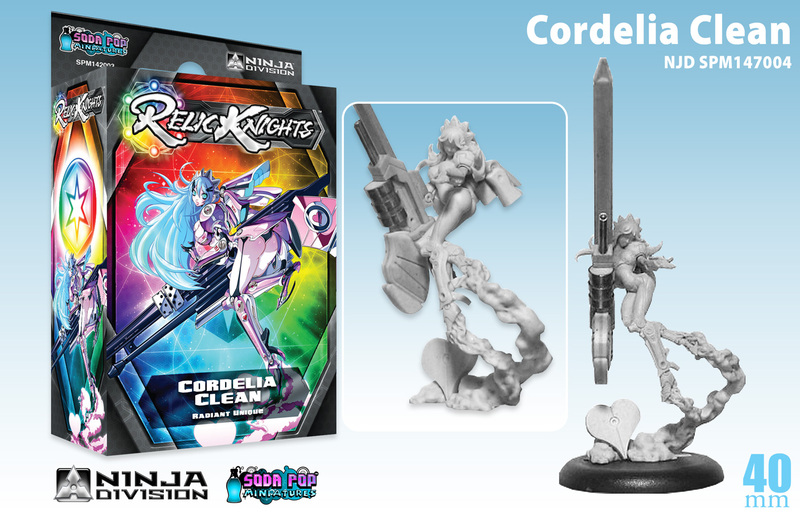 Soda Pop Miniatures has posted up their January releases for Relic Knights over on their website. There's a new unit for each of the factions, helping you bolster your forces on the battlefield. Soda Pop Miniatures knows that Relic Knights models have been around for quite some time and many of you picked up some sets before the game based around them was a thing. 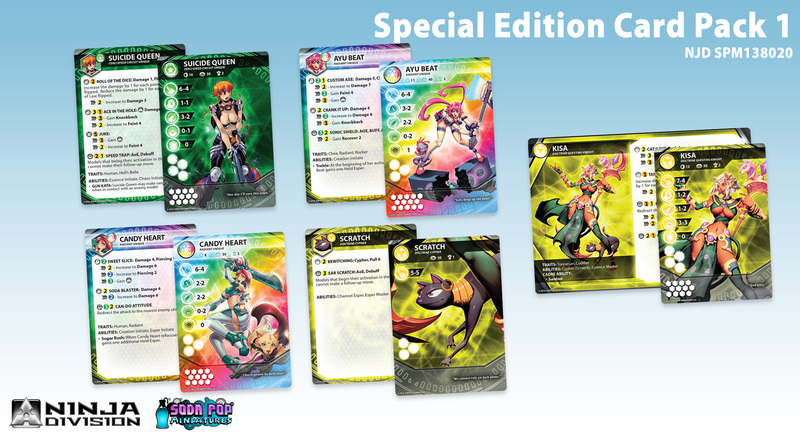 So, for those of you that have those models, but not the stat cards to go along with them, they've released their Special Edition Card Pack so you can get the stats you need to put those models on the battlefield along with all the other Relic Knights minis now available. 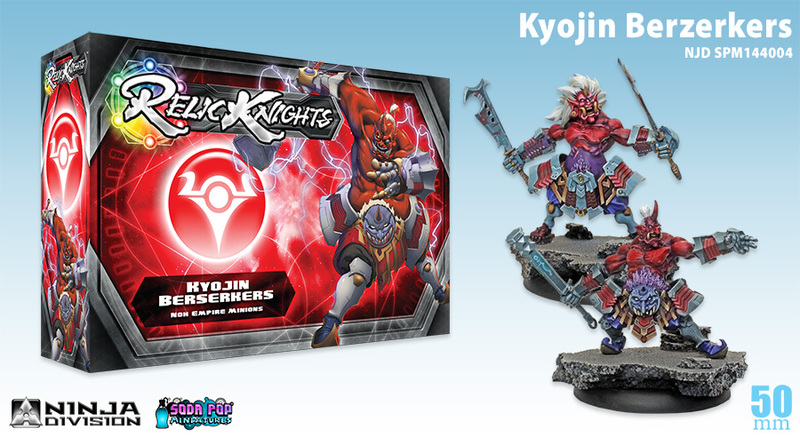 Ninja Division has the latest sets for Relic Knights now available over in their webshop. Cerci Speed Circuit gets a pair of releases in the form of the Wrecker and the Pit Crew (sort of two ends of the spectrum there). The Noh Empire gets the new Render (it's a real model, not just a render), because oni with sci-fi guns is fun. Black Diamond gets a new mini-tank. I remember seeing one of these when the Kickstarter campaign stuff was coming through. It's cute. Finally, the Star Nebula Corsairs gets... well... their Corsairs box. Seems an appropriate thing to get. Ninja Division posted up their November releases for Relic Knights for sale over in their webshop. Relic Knights November releases are now available in the Soda Pop Store! Featuring units for all six factions, expand your cadres as they battle for the fate of the Last Galaxy. 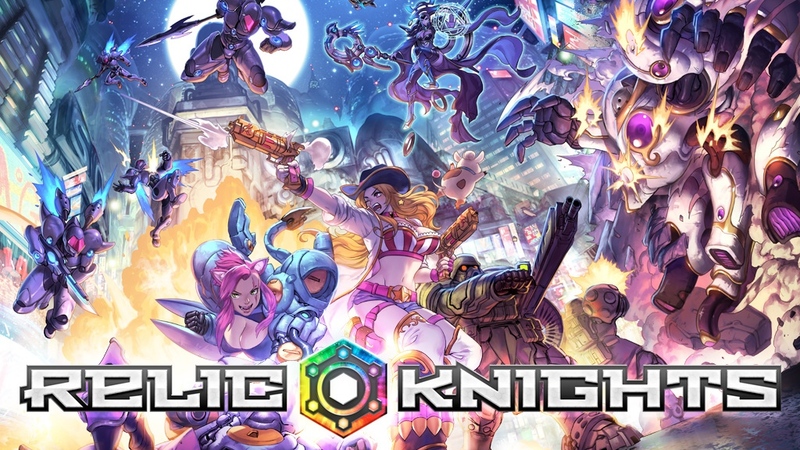 Soda Pop Miniatures posted up their tournament rules for Relic Knights over on their website. Ninja Division posted up some WIP photos sent to them of how things are coming along with the painting for some of the minis that Minx Studios are working on. 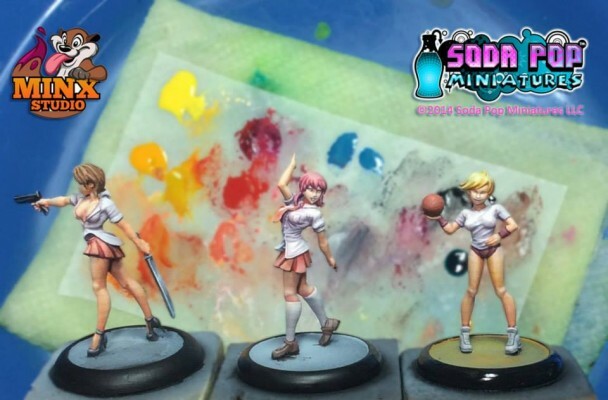 Minx Studio, the painting Studio for Ninja Division and Soda Pop Miniatures has been busy! 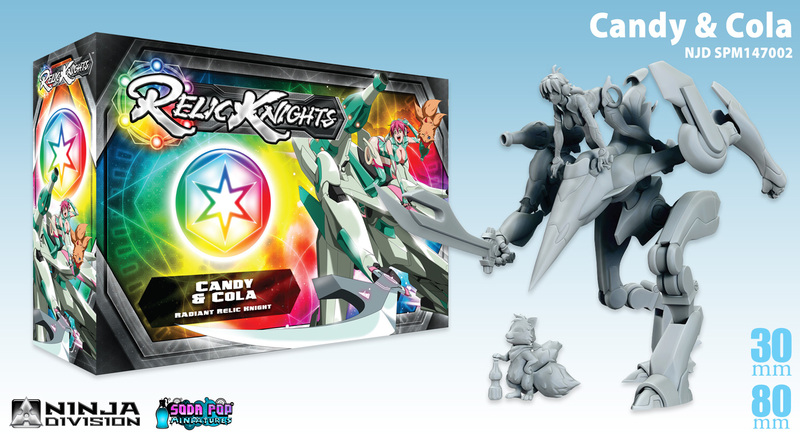 They just posted up WIPs for the newest miniatures in the Takoashi University Miniatures Line and Relic Knights, Candy’s Relic! Take a look! 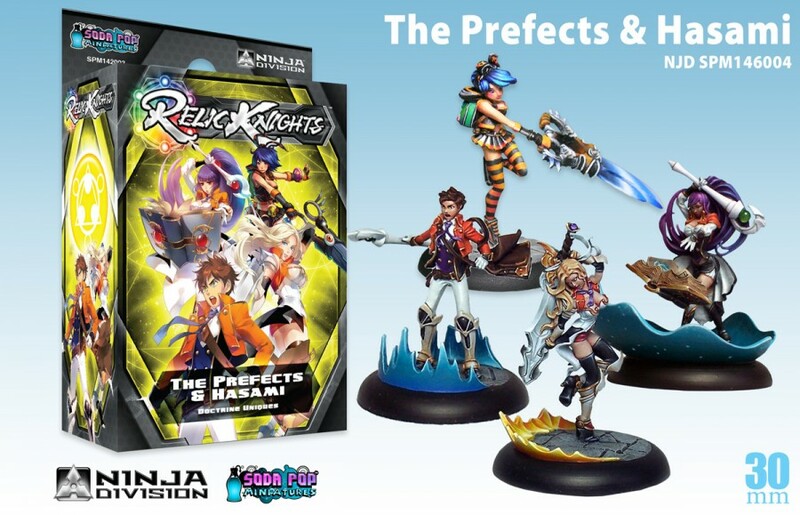 Soda Pop Miniatures has released their new Prismatics for Relic Knights over in their webshop. 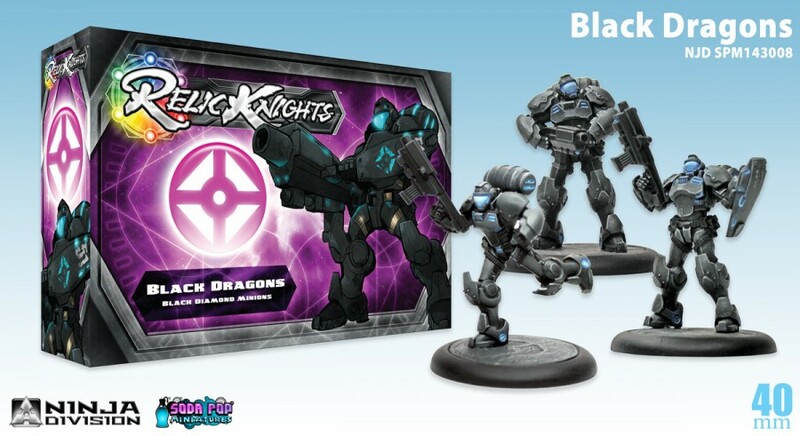 Prismatic units are now available at local retailers and the Soda Pop Store! Ninja Division posted up their November releases for Relic Knights over on their website. November is right around the corner, with new releases for every faction across the Universe! Check out these upcoming releases on the Ninja Division Release Schedule. Ninja Division is now taking orders for their Elite Dashboards for Relic Knights. 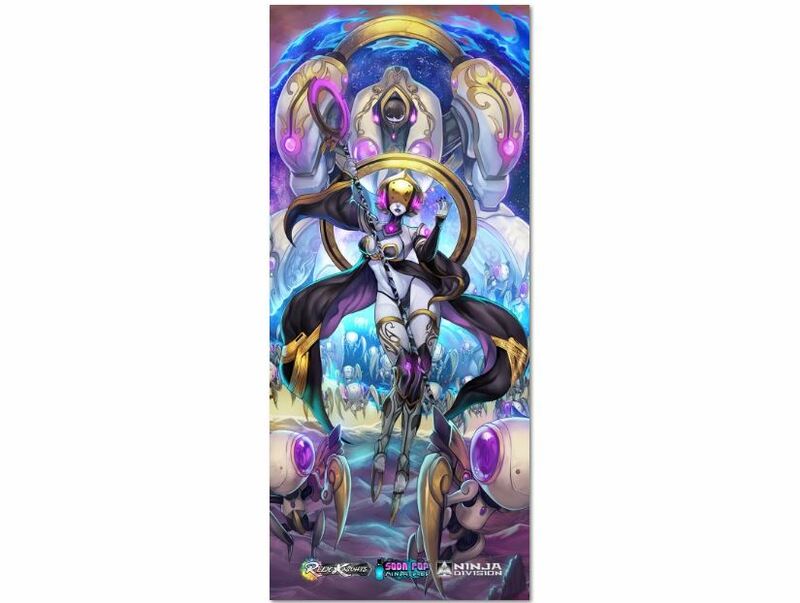 Play your cards in style with these new mats. Dimensions approximately 9? X 20?. Elite Dashboards for all six factions are now available for pre-order in the Soda Pop Store! Geek of Spades has another Relic Knights unboxing video up. This time it's Shattered Sword. Ben unboxes some more Relic Knights goodness with the Shattered Sword(which would make a terrible weapon, by the way) starter set! 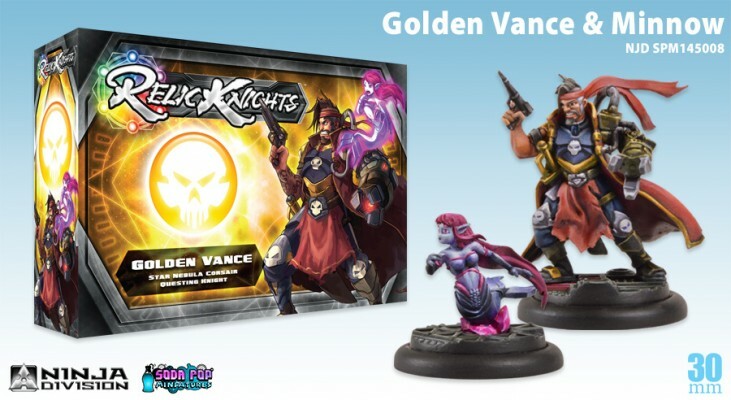 Soda Pop Miniatures posted up their September releases for Relic Knights. Go and order yours now. Relic Knights, September releases are now available in the Soda Pop Store and at your favorite local game store! 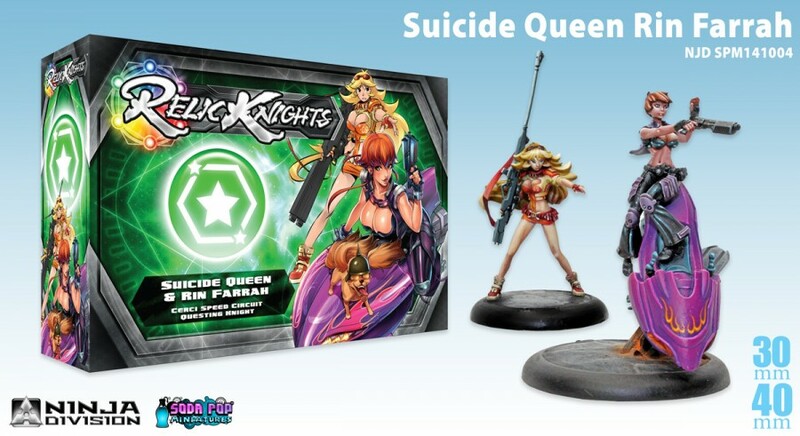 Soda Pop Miniatures posted their August releases for Relic Knights up on their website. The Calamity grows! New reinforcements for every Relic Knights faction are now available in the Soda Pop Store!